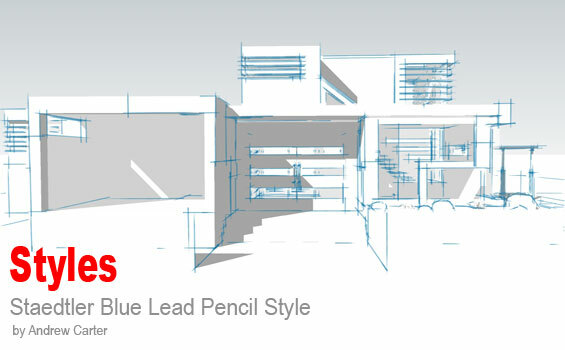 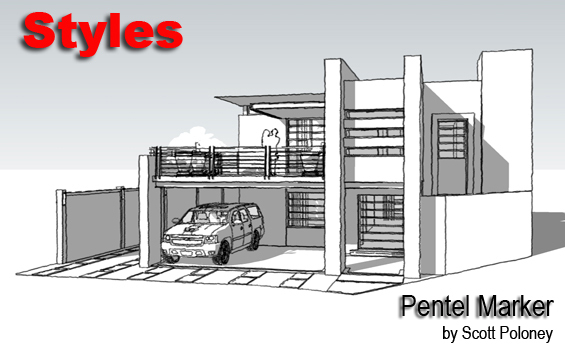 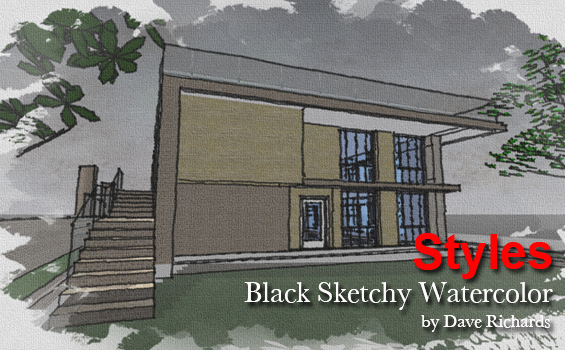 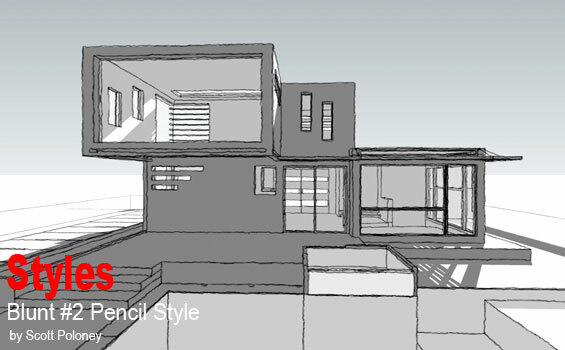 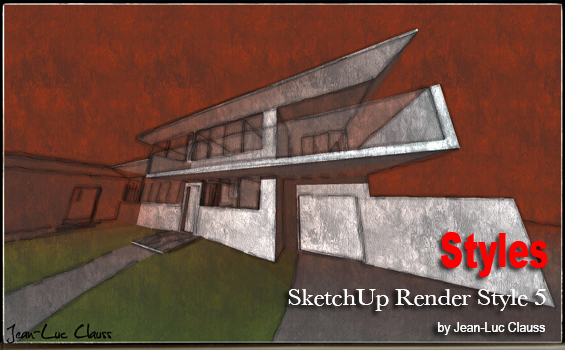 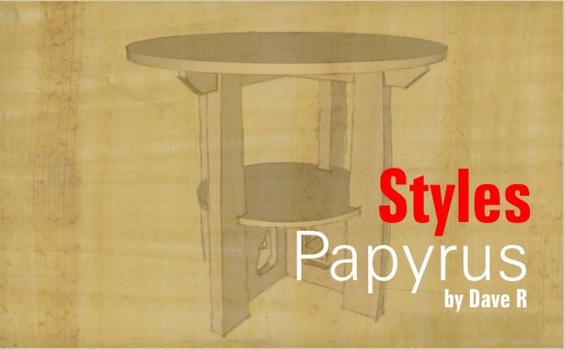 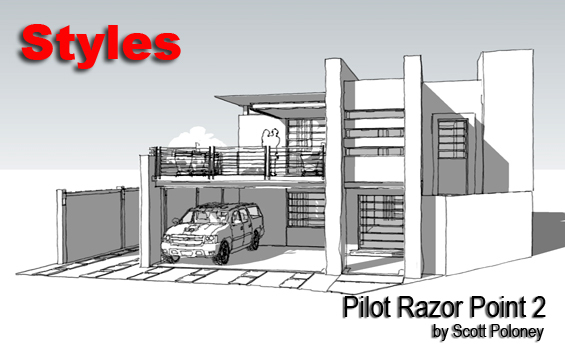 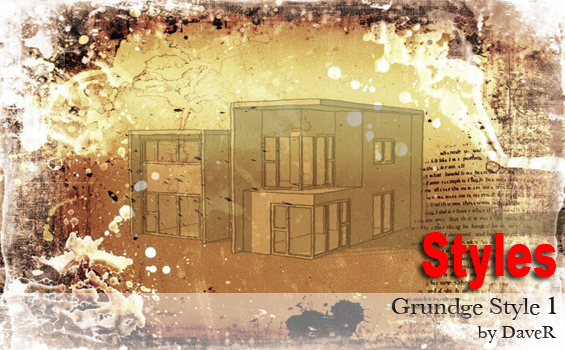 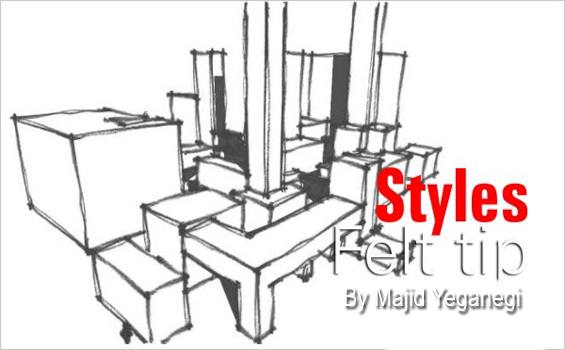 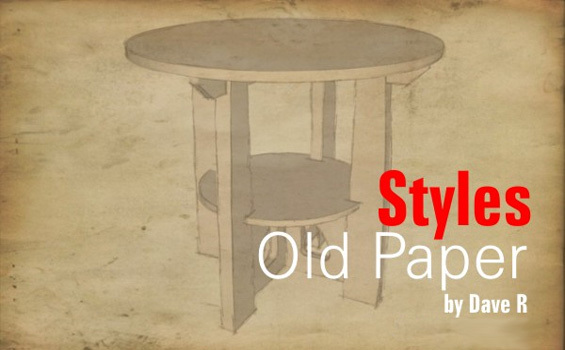 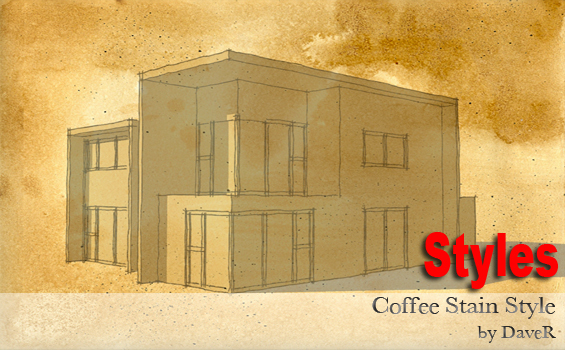 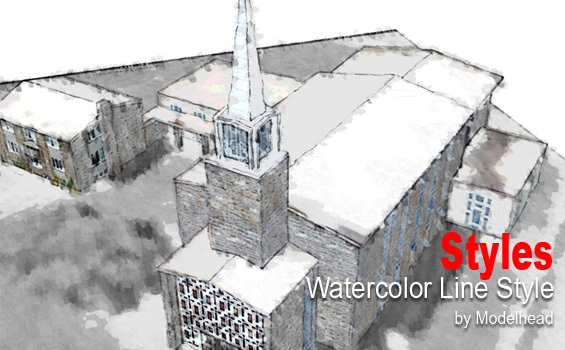 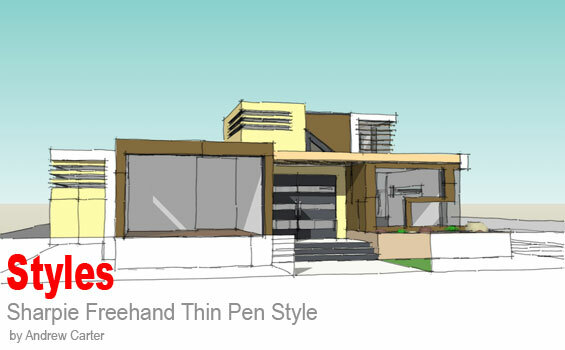 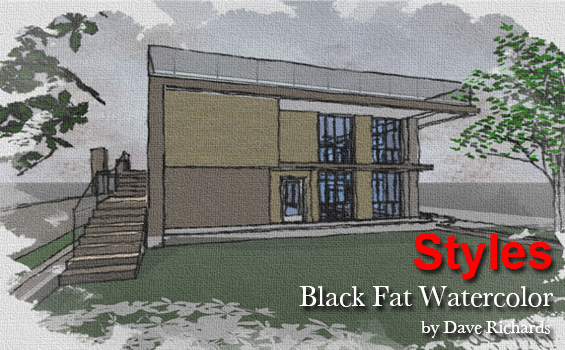 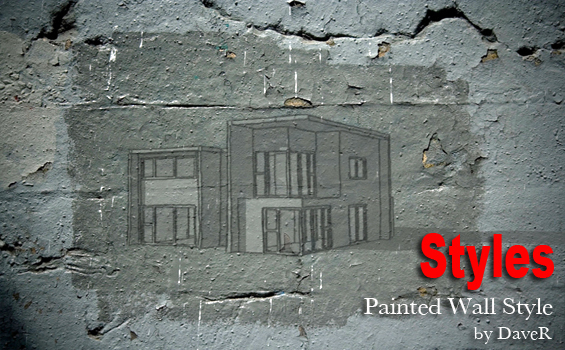 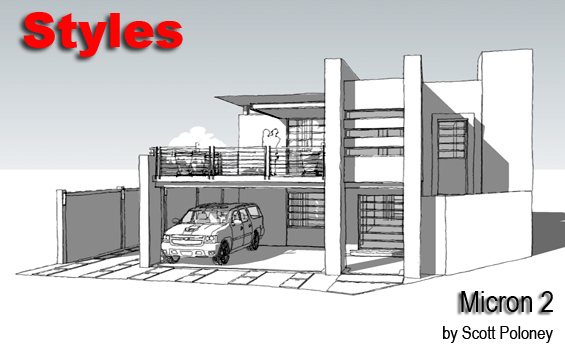 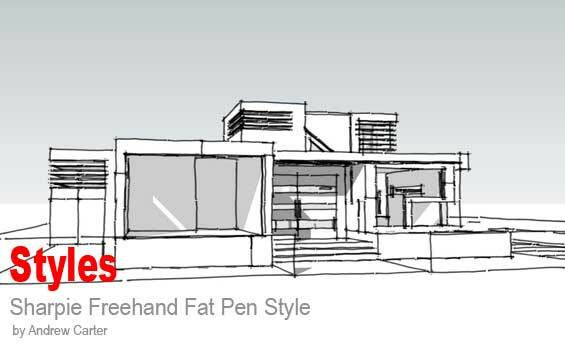 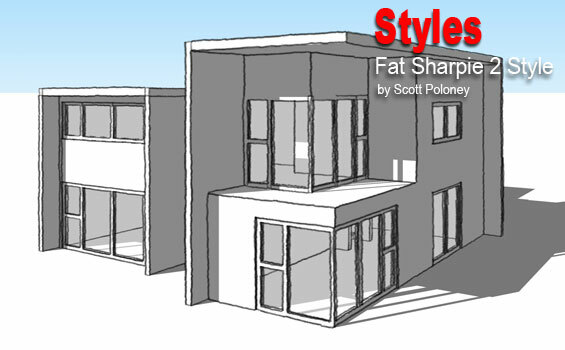 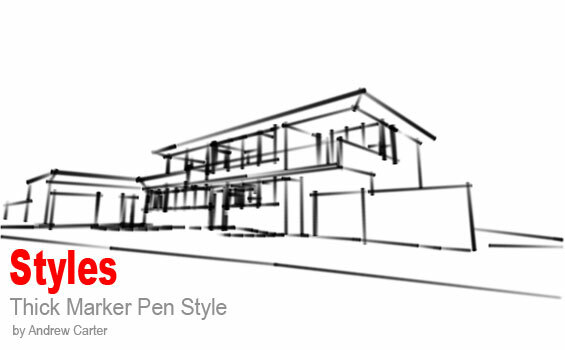 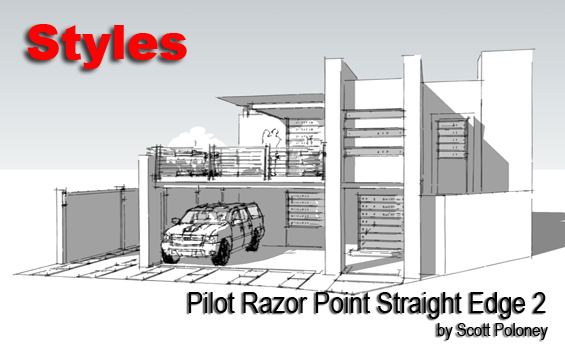 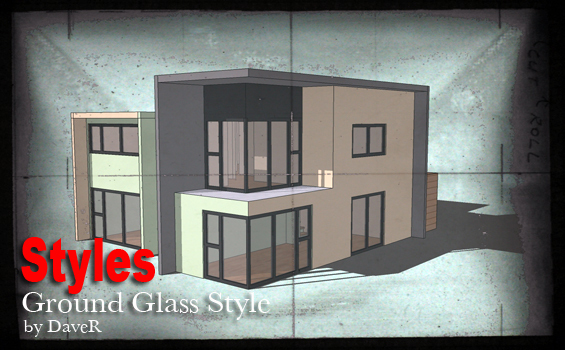 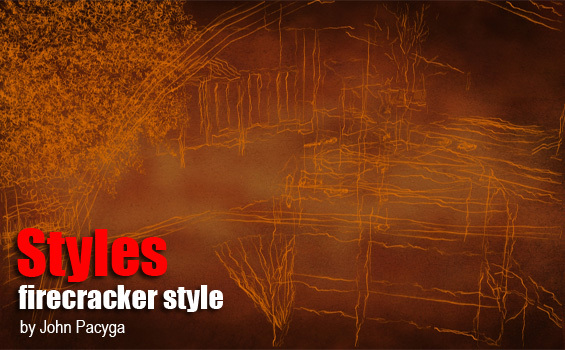 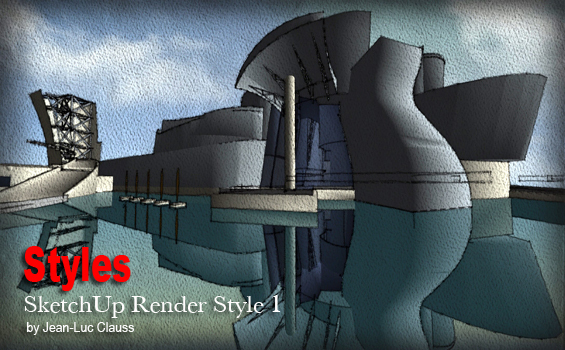 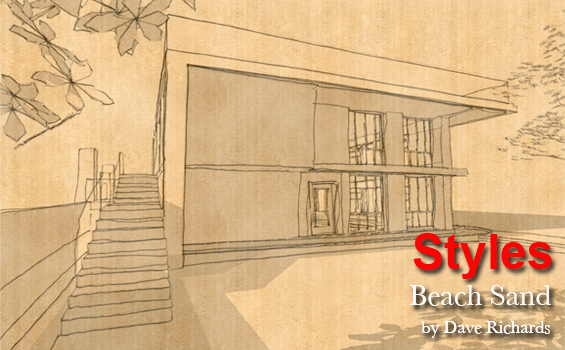 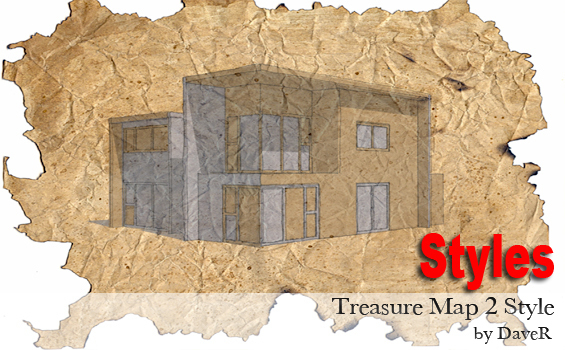 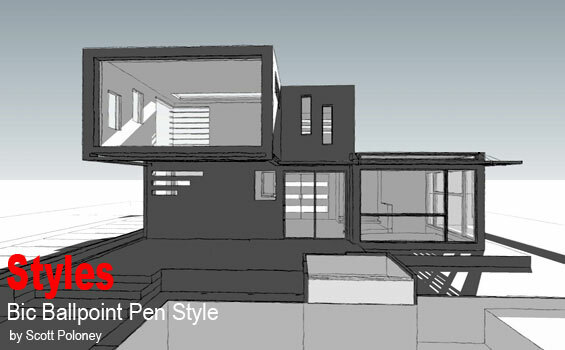 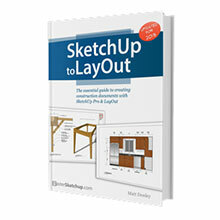 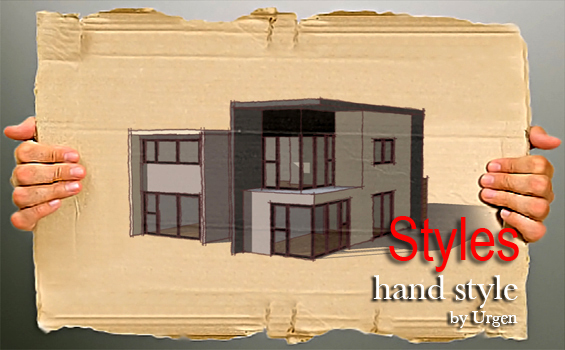 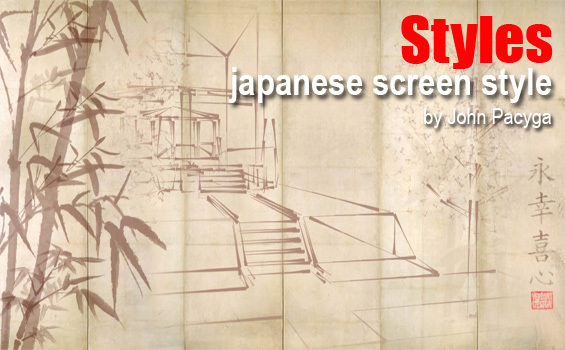 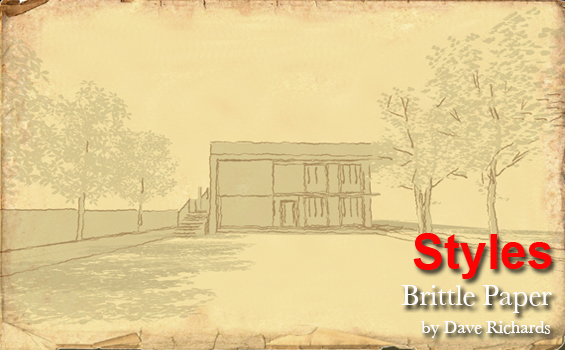 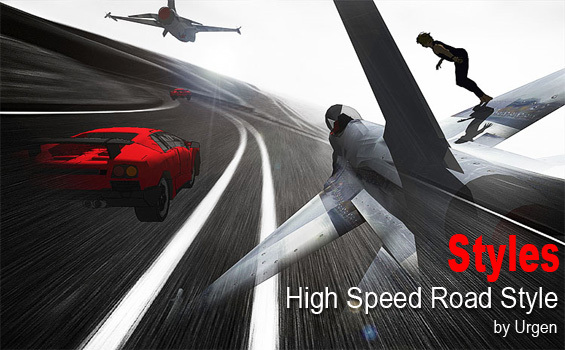 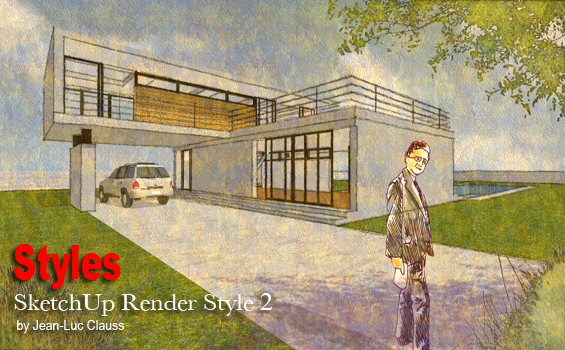 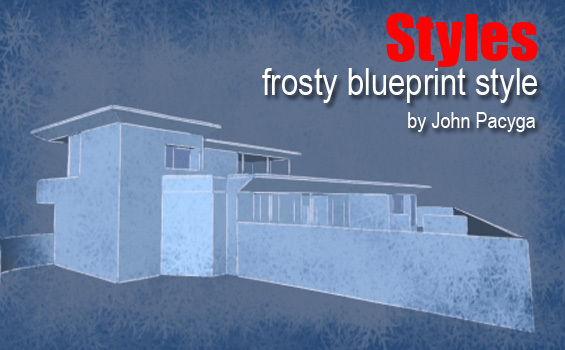 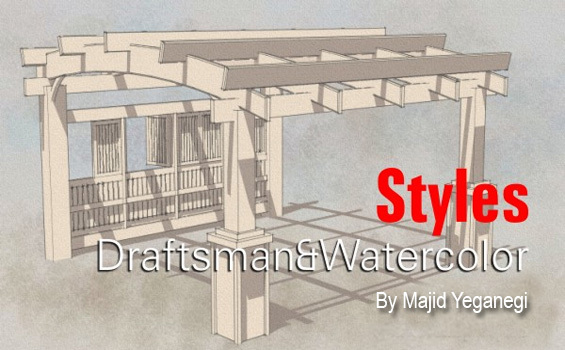 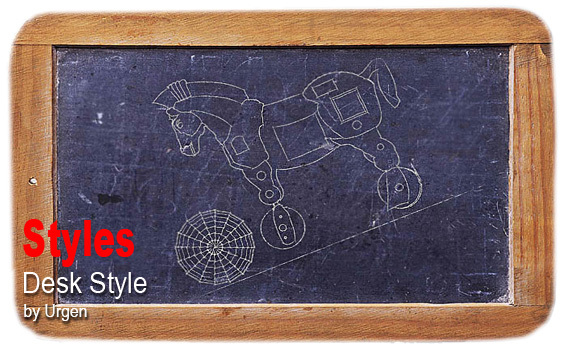 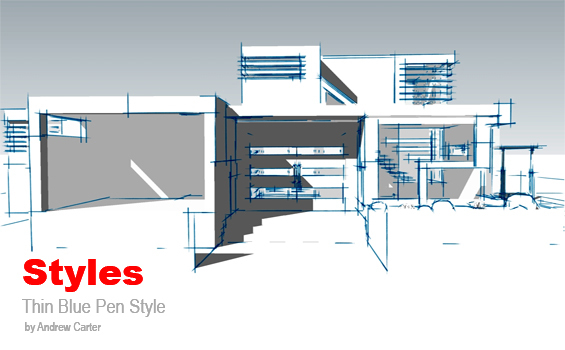 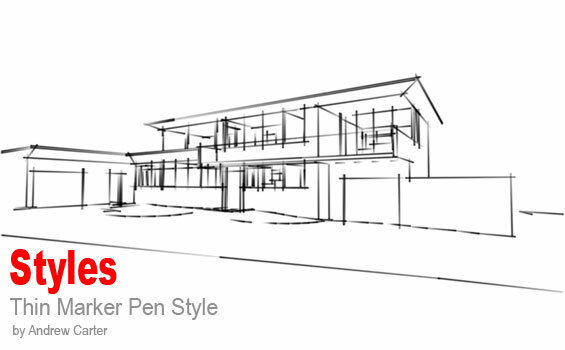 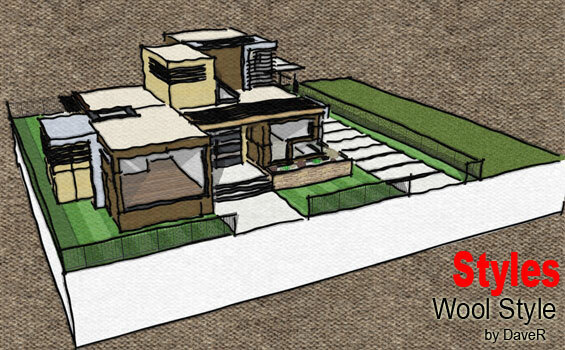 SketchUpArtists have one of the largest collection of free SketchUp Styles available on the web. 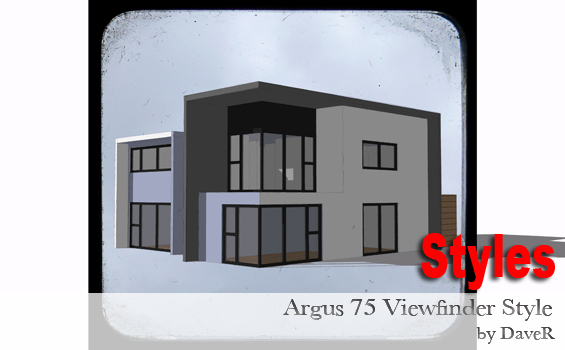 They were created by some of the very best SketchUp professionals in the world, who have freely contributed their time and skills to produce them. 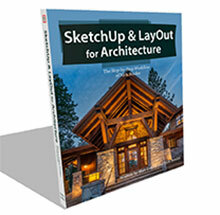 We hope this visual library will be a useful reference and inspiration in your future creative process. 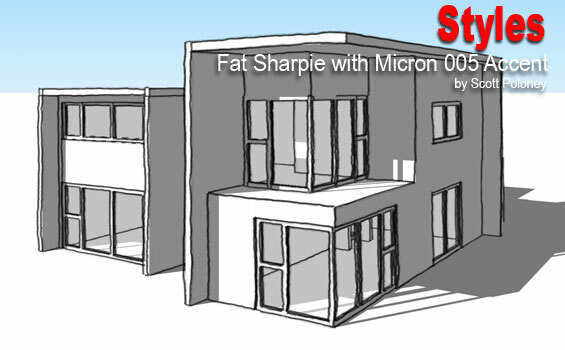 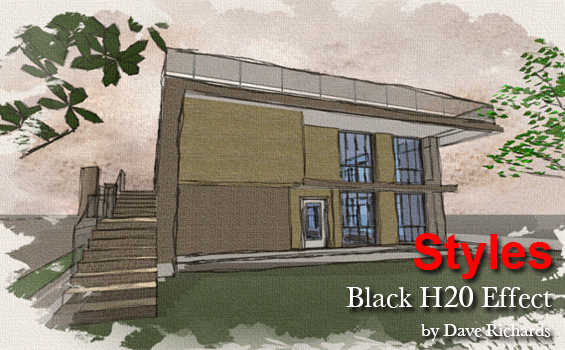 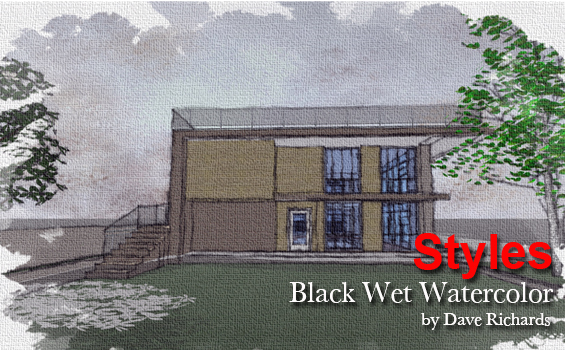 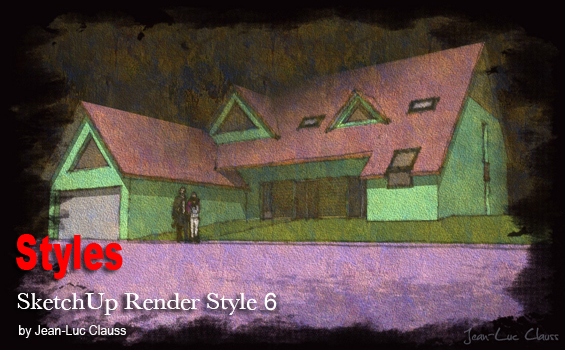 TIP: When exporting your finished image from SketchUp, export it at a higher resolution (eg. 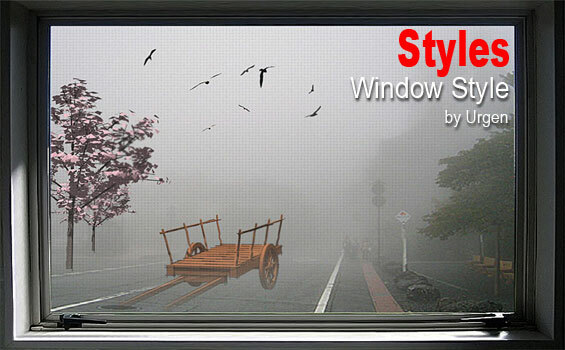 3000 pixels wide) rather than the screen size. 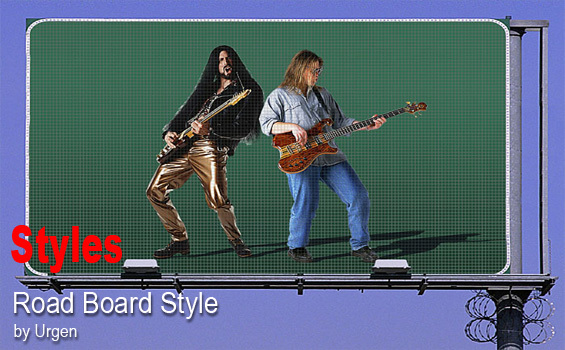 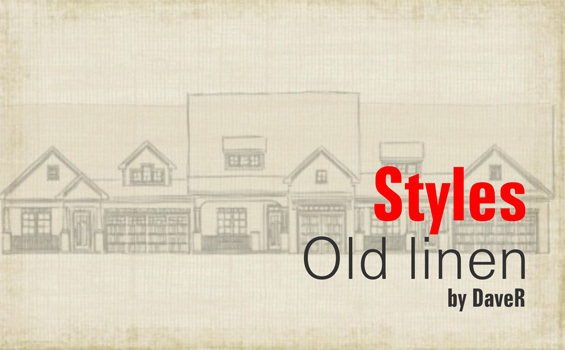 This will make your lines thinner and some Styles less busy. 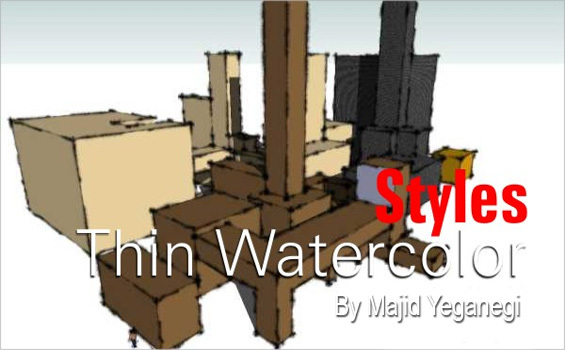 Or you can change the way a sketchy Style might look by adjusting the size of the exported image (under the Option button in the Export window) and resizing it in an external image editor like Photoshop. 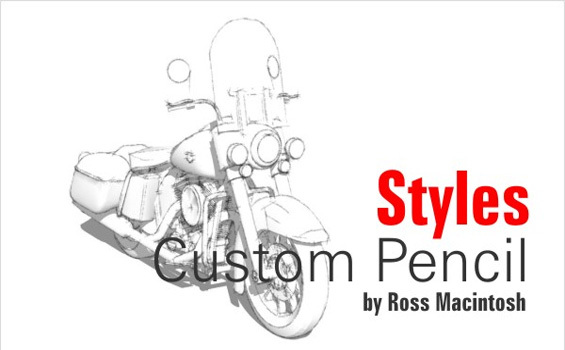 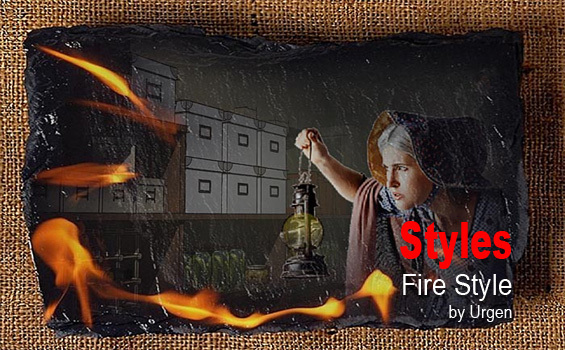 Collection of Styles by Andrew Carter Download Andrew’s full collection of Styles here. 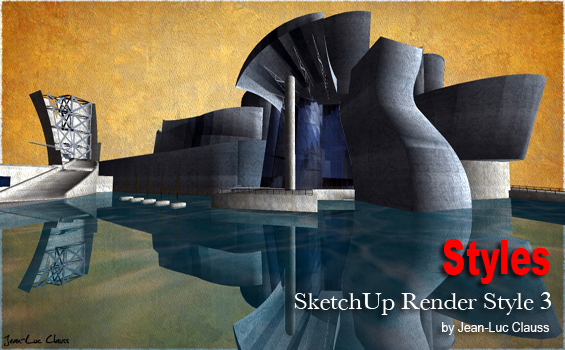 amazing..thanks so much for all the skechup artists…this all what i need..
thanks a lot for this creation and sharing!